This was written many years ago, so yes, i think it is very possible. Source: Aviation Week, Jan. 2007. That 56 mile/F-15 figure is an old one though, no? These were Eagles used during Desert Storm, and don't take into account the newer AESA radars. Surely, they have the capability of looking beyond 56 miles?? If not, then carrying the AIM-120D is going to be self limiting. It reportedly has a range of 100 miles (or thereabouts), so a radar with roughly half that range is really selling the weapon short. I think I even read once that the new AESA's going into Eagles were MORE powerful than the F-22's AN/APG-77. Am I off base here, or not understanding correctly? mixelflick wrote: That 56 mile/F-15 figure is an old one though, no? These were Eagles used during Desert Storm, and don't take into account the newer AESA radars. Surely, they have the capability of looking beyond 56 miles?? That's the MSA radar, not the AESA radar. It's also for 1m^2 targets. But even for the APG-70, this performance is bad. The small RDI Radar from Mirage 2000 in the 80s comes close to that Range. According to this document the APG-70 has a range of 185 km against a Air target. I assume 3-5 m2. But the most powerful russian radar now inside the Su-35 S, the Irbis E, has a detection range around 200 kms for 3 m2 rcs. It is similar to the APG-70, from many decades ago. I also recall reading (can’t remember where) something to the effect raptor pilots being jealous of the AN/APG-63(V)3 capabilities. Regardless, a 56 mile detection range sounds like a very cautious estimate, even for the pre-MSIP eagles. 185km vs 3-5m^2 target. Not a 1m^2 target. Of course, no 4th generation aircraft (or earlier generations) are 1m^2, when carrying weapons and fuel tanks. That's 200km in look up mode (with 55% probability of detection), and ~170 to 180km in look down mode. swiss wrote: But even for the APG-70, this performance is bad. The small RDI Radar from Mirage 2000 in the 80s comes close to that Range. True that. Same goes for SAR resolution. The APG-70 had 2.6m. Ibris-E has 3m. The more modern non AESA radar APG-68(v)9 has a resolution of 0.6m. And as wrightwing said. The probability of detection is much lower then in western radars (90%). 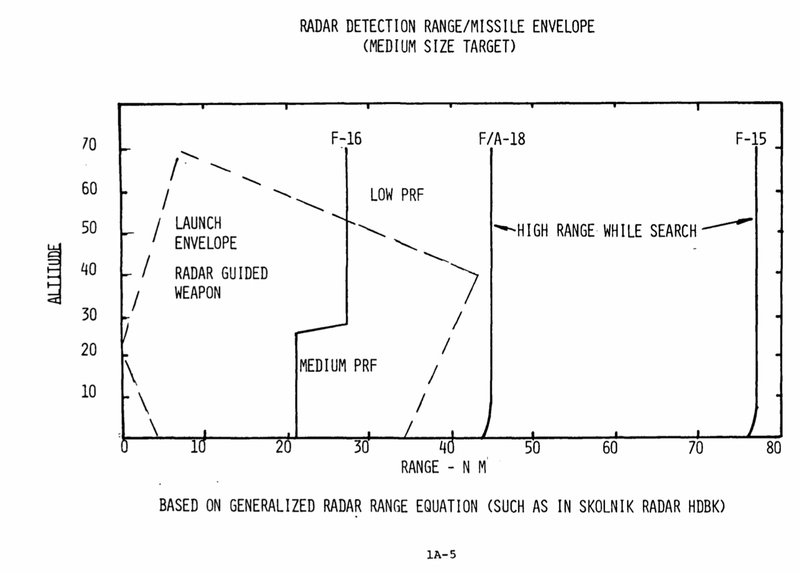 Yes, radar Captor from EF-2000 has 0,3 meters resolution SAR, it is 10 times less than better russian radar. And it is not aesa radar. I think Aesa Captor E will be around 0,10 meters resolution.